The ruling by the Ministry of Enterprise and Innovation in Stockholm allows Nord Stream 2 to construct and operate its planned pipeline system in the Swedish Exclusive Economic Zone (EEZ). The permit covers an approximately 510-kilometres-long route section in the Swedish EEZ. Industry sources told EURACTIV that even if Denmark blocks it, construction can begin on an alternative route. “This is an important milestone for the Nord Stream 2 project. We are pleased to have obtained the Swedish government’s approval to construct and operate the Nord Stream 2 Pipeline,” said Lars O Grönstedt, Senior Advisor at Nord Stream 2, quoted in an official press release. “We are now looking forward to continuing the productive cooperation and open dialogue with the Swedish authorities during the up-coming construction phase,” adds Nicklas Andersson, Permitting Manager Sweden at Nord Stream 2. Nord Stream 2 AG already obtained the permits required for the construction and operation of the pipeline system in Germany and Finland earlier this year. Nord Stream 2 AG has received its Construction Permit in Russia and the operation permit is just a formality. However, the Swedish Minister of Entrepreneurship and Innovation Mikael Damberg was quoted by the Russian agency TASS as saying that Sweden has a negative attitude towards Nord Stream 2, but it “just cannot reject this project”. Demberg said that Nord Stream 2 contradicts the goals of the EU’s Energy union, as it increases the Union’s dependence on Russian gas, and also reduces the role of Ukraine as a gas transit country. Denmark still has to rule whether the pipeline can be built near its coast. The country has passed legislation that could block the project due to security concerns. Denmark is reportedly under “fierce pressure” from Russia, but also from the countries opposing the project, to rule one way or another. 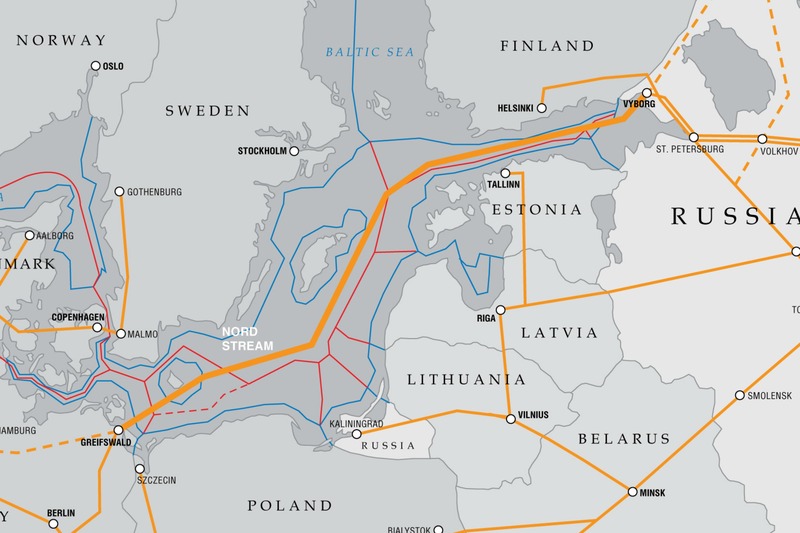 A Danish veto, under the new legislation, however, would not block the project, EURACTIV was told, as the Nord Stream 2 company had a plan for an alternative route. Nord Stream 2 is similar to Nord Stream, which was launched in November 2011, but in a different political climate, in the presence of German Chancellor Angela Merkel, Dutch Prime Minister Mark Rutte, the then French Prime Minister François Fillon and the then EU Energy Commissioner Günther Oettinger. Russian President Dmitry Medvedev will attend today's (8 November) launch ceremony in Germany of the Nord Stream gas pipeline, which will bring Russian natural gas to Western Europe directly under the Baltic Sea. Experts warned however that the pipeline would run at only half capacity in the initial period. The routes of Nord Stream and Nord Stream 2 are not identical. 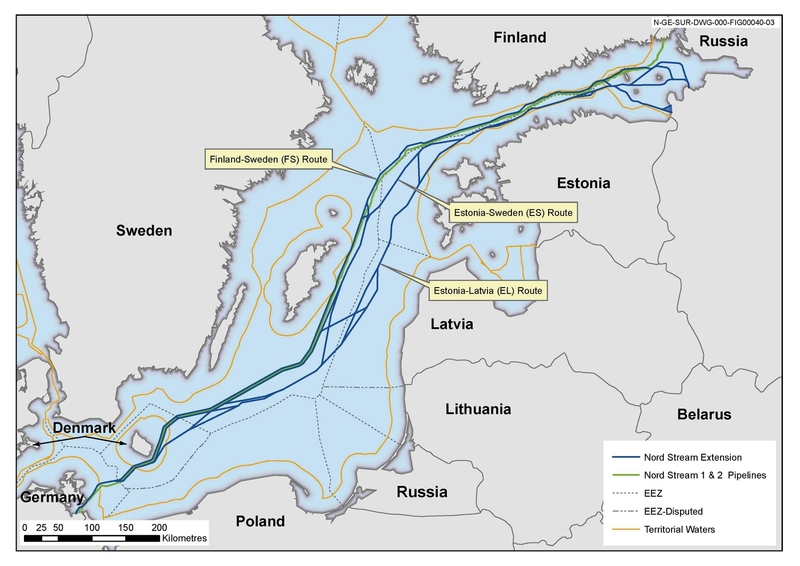 Industry sources said that the route for Nord Stream 2 in the Danish EEZ was chosen precisely because at the time, Denmark was supportive and had advised that it was the most appropriate.